I Bow and Surrender Everything to the Light of Wisdom eternally Flown to us by the tradition of Great Masters of the Grand Universe… Samastha Loka Sukhino Bhavanthu…Aum Shanti…. Today, on the 23rd of February, I surrender this blog, my humble contribution, as flowers offered at the feet of our grand tradition and all the Great Masters, Great Guides, Selfless entities, who walked ahead of us, lead us and are still leading us, with deep gratitude and surrender. The tradition has no beginning nor end. It flows eternally. There is no room for ownership or ego. All are part of the grand design. All are integral. All are significant. All are insignificant too. All exist and do not exist. The grand tradition flows eternally. This is where we belong; this is our real family. There are no boundaries. Tradition has no gender barrier, no caste, color, creed, country, culture, custom barrier too. One father and various aspects and expressions of that one father. Ignorance alienates us, while understanding and awareness gather us. Man minus ego is GOD. I bow down to all the children of this rich tradition of supreme un-conditionality. I bow down to this rich tradition built and cemented with FAITH and SUPREME LOVE. This Soul and Body, time and space, are all Gifts of the Tradition. What can I offer you, my tradition, which is not yours already!!! We belong to a grand tradition of selflessness. We are its offsprings as well as its torch bearers. But, we live in a world of make-believe and pretensions. We pretend to be happy and we pretend to be what we are not. We pretend our karmic inevitability and helplessness as liberated existence, all the while resisting everything internally!!! We even express our non-understanding of the true meaning of liberation through strange behaviors such as smoking, drugs, drinking, variety of indulgences, wild and destructive habits and actions, restlessness and many other things. All these are helplessly binding us to earth. Some pretend till death. Some pretend for a short span of time. Everyone pretends. In our times, people are looking for quick remedies, instant Nirvana. Is it possible? In such a world, the methods of Atmananda Chaithanya and many others saints of our grand tradition will not make sense. We would rather hold on to our phobias, fears, anxieties and ego, and walk the familiar path of certainty which we are used to, rather than tread the ever uncertain path of pathlessness. This is our attitude. Only a very few see the light. Most choose darkness, because in the darkness, we can hide. We can hide our true nature in the cloak of darkness. They relish their coward nature and even justify it to feel safe and sane. They chant “Light means sorrow, my children. Darkness is bliss”!!! Are we some of those cowards refusing to face ourselves? Think well. If I have not offended you enough, please read on… A story about practical education by a surreal saint. Practical education for an unlikely student! 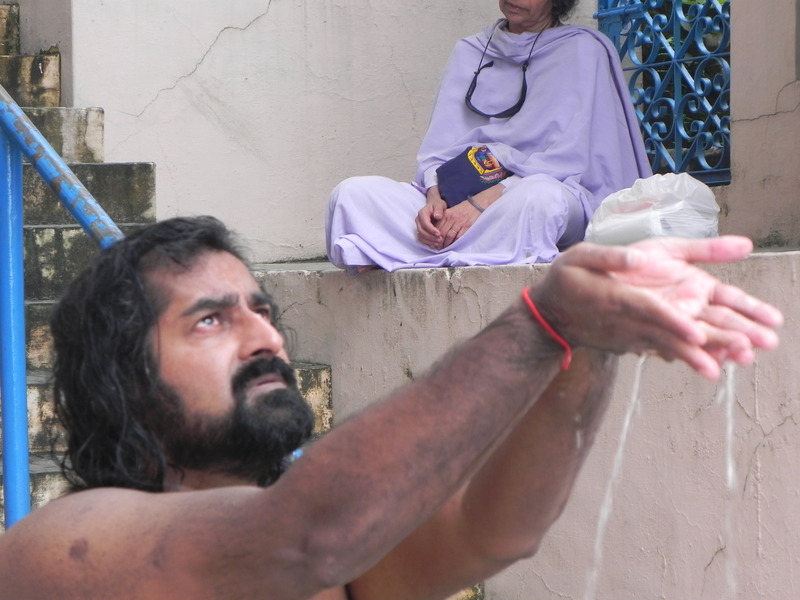 Manav sat on the steps leading towards Ganga and stared at the water flowing in a hurry. It was just like time. The moment you think of the present, it has already become the past. The moment you look elsewhere, gallons of water have rushed past!!! This is Life! What a mad rush!!! When will this restless rush end? Where will it end? Where is all this water going to? Where is the time going to? Time has no problem. It has always been like this. Only those who chose to watch it, became tired. Time is never tired!!! Everything goes through time. The people, the seasons, the events…. everything. Just like the big log that rolls up and down over the waves of the river, quite helplessly, uncontrollably and unconsciously, life flows through time. Then, just like the log, people vanish. Then new people come. Then they also vanish. Thus, time and river have lots of similarities. What are we holding back? What can we hold back? Manav looked up at the sky in helplessness, as if seeking a divine communion. Where is the answer? Who can give the answer? That moment was decisive in his mind. He decided to leave everything and walk to the north. NORTH! North of India are the Himalayas. 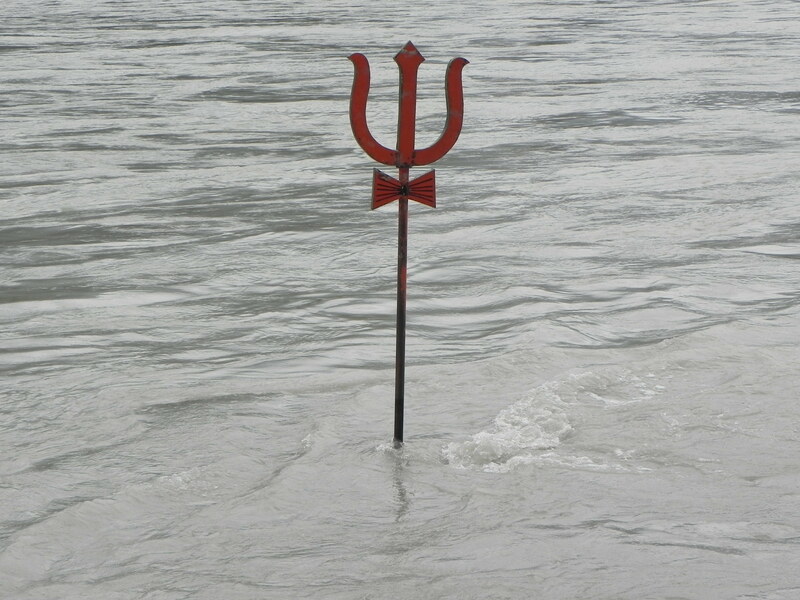 Ganga flows from the Himalayas. So, Manav is already in the North. He stood up and walked further up north. Somehow, in his mind, NORTH means some kind of surety. Some kind of refuge, which he does not yet know. Anyway, what more can anyone lose, than his life? Manav believed that he is not afraid of death and darkness. He considered himself quite brave, in terrestrial terms of bravery. So, he walked into the darkness of uncertainty, and embarked on his search for the unknown, and walked further towards North. Every Communion is Important. Every Meeting has Meaning. Terrestrial Bravery is situational! Tough terrains of existence. Tough times. Unknown paths. Unknown destination. Unknown people. Everything strange. All are strangers. Amongst the strangers, he found familiarities. Familiar strangers. One man asked him. “Swami hey Kya?” (Are you a Saint?) Manav replied “Nahi. Saadhak houn”. (No. I am a Seeker). The stranger asked “Mila Nahi Abhi tak?” (Did you not find it so far?) Manav stared at his eyes without answering. How can he tell him that “getting it” was not his primary search. Knowing what to search for, was his primary search! He took his backpack and walked further. The stranger shouted from behind. “Atmananda ko zaroor milna. Milega tumko, jo tum ddhoont rahe hey”. (Definitely meet Atmananda. You will get what you are searching for.) He did not look back and kept walking. ATMANANDA. The name stuck in his mind. Where will he find him? 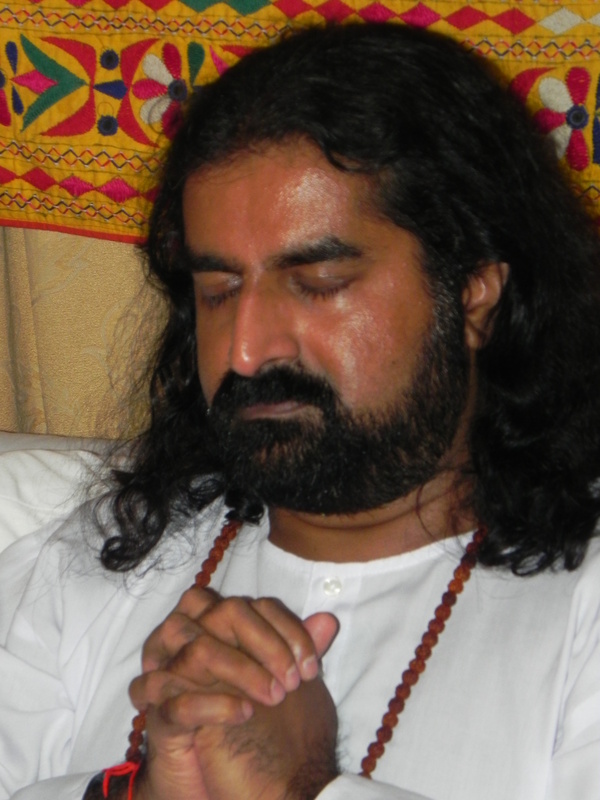 Or, did he meant “find happiness (ananda) in your own atma (soul) and you will find what you are looking for”? The long and winding path of uncertainty lay ahead of him. The question was whether to walk it up or stay where he was! Walking ahead means facing uncontrollable uncertainties. Staying back could mean eternal stagnation. Manav thought “This is exactly what people call Between Devil and Deep Sea”. Death is sure in any case!!! Manav feared stagnation more than uncertainties. He decided to walk further. This was a great decision of his life. The third day from there, he met Atmananda at Rudra Prayag. 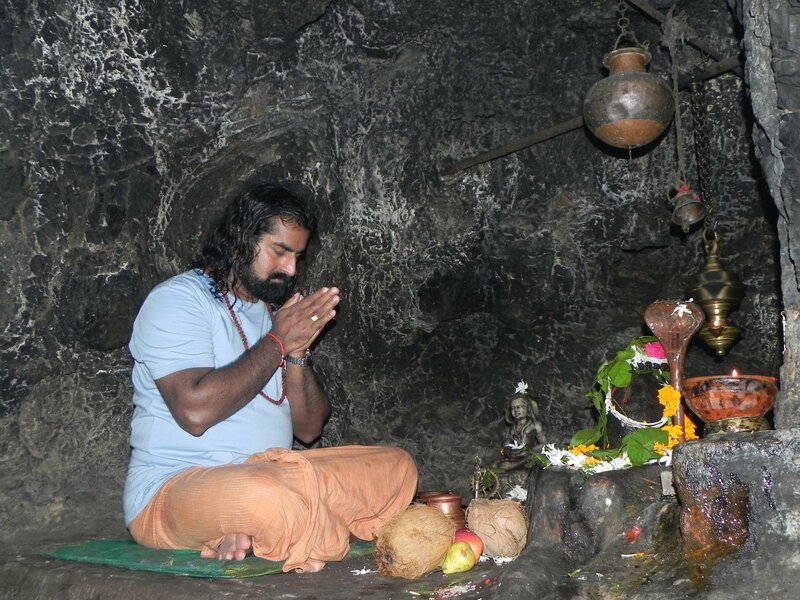 A local temple priest guided Manav to Atmananda. 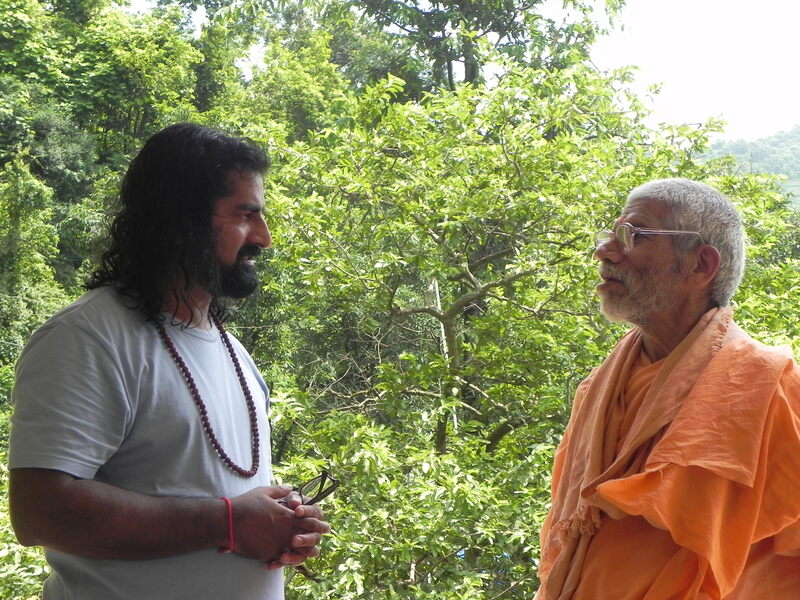 To Manav’s great surprise, Atmananda resembled the stranger who told him to meet Atmananda. He was confused. Was it the same person who came to guide him a couple of days earlier? Nothing made sense. He became more confused. Atmananda was sitting in the middle of a couple of dozen people, was cracking jokes and laughing aloud. Even though Atmananda looked at him, he did not show any recognition. He carried on with his jokes. Everyone was laughing. What sort of a saint is this? Just cracking jokes and laughing? For a moment he thought. ” Was I searching for laughter? Maybe I was!!”. Laughter is indeed an expression of happiness. All people are searching for Happiness and they never find it, except the fleeting or momentary ones!! “Ah! I still do not know what I am looking for!” After a while of contemplation, Manav approached Atmananda who continued to ignore him. He seemed to be busy, involved in applying sacred ash on his forehead and various parts of his body, after stepping out of the dip in the river. He was illegibly mumbling some mantra. 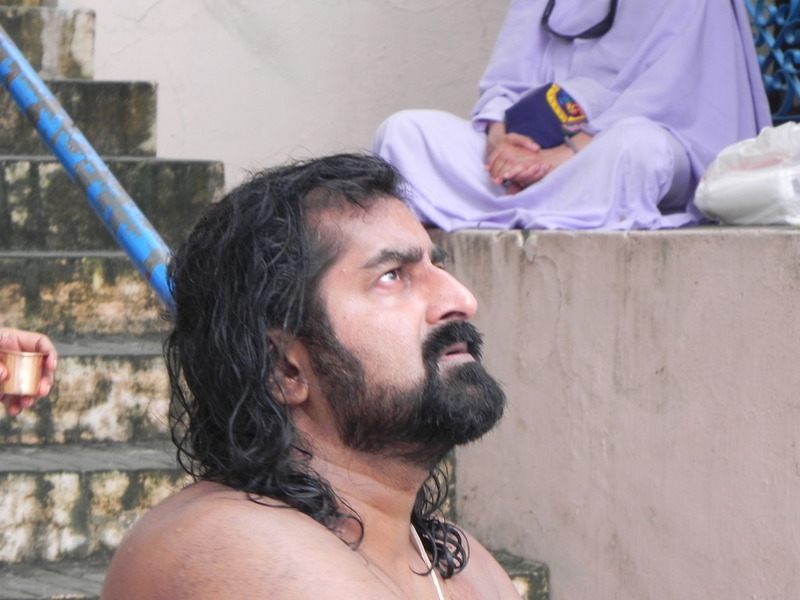 Manav waited and when Atmananda left with his disciples, Manav followed him. It was only on the third day that he actually got to talk to Atmananda. The first thing that Atmananda said after looking at Manav was “Jad hey” (This is dead). “Jeevan kithar hey”? (Where is life?”.) Manav did not know the answer. Atmananda did not wait. He kept walking. Manav followed as if mesmerized. Finally, the whole entourage reached a city. Manav hated cities. He was fine with the relative isolation that great mountains provided. He wondered why Atmananda loved the city so much, that he walked all the way downhill, over days and weeks, to reach this place of filth and greed! As if reading his thoughts, Atmananda turned and said to no one in particular ” I exist in the mountains, yet my feet are on the ground. My body does not signify my “size”. What I see is what you cannot see.” Was this a statement or a warning? Manav struggled to figure out the meaning behind these seemingly pregnant statements. Atmananda kept walking…. Manav wanted to return back to the Mountains. The Himalayas! What Peace! What Tranquility! He felt as if part of himself was still staying back in the mountains. Attachment!!! One part of his mind wanted to leave Atmananda and go back. The other part kept saying that Manav had finally found his Guru. But, Atmananda did not seem to be of Guru material at all. He was just wandering all the time and was never teaching anything significant to anyone. This was such an irony for Manav. No one around him seem to be bothered. None seemed to care about the uncertainty and hardships. Everyone seemed to just enjoy his company and wander aimlessly! Is this spirituality? Manav became even more confused than before. Atmananda looked at him and said “Whom can you wake up?” Atmananda himself answered. “Only those who are actually sleeping and not the ones who are pretending to be asleep. What ever you do, those who pretend to sleep will not wake up. Many in the Himalayas are pretenders. I am collecting pearls in the market place!”. This was a revelation for Manav. He thought he understood the real purpose behind Atmananda’s visit to the city, but was never sure. It was very difficult to put him into any frames! He is here, perhaps to “wake up” the ignorant sleepers to ultimate realities or truths. This made some sense. This was probably his mission. A noble mission indeed. But, in this drama, what was Manav’s role? Again, deep uncertainties conquered his mind. Love is the Food of Life. Nothing Can substitute this food. Our world is starving – for LOVE..
Atmananda again read his mind. He looked intently at Manav’s eyes and in a stern voice, like a command, he said “Go begging. Do not return back for one week. Bring whatever you can save after spending for your basic needs”. Manav was completely shaken with this suggestion. Many disturbing thoughts flocked into his mind. Manav thought “Go Begging? Why? Do Atmananda or his disciples need the money or food that I may gather through begging?” Atmananda did not look at him, nor read his mind nor answer that question. He just repeated “Go begging from tomorrow.”. He would not explain any further. The whole night, Manav did not sleep. Many conflicting emotions ran through his mind. He had not witnessed Atmananda asking anyone in his entourage to resort to begging. So why Manav? Did Atmananda hate him, and want to teach him a lesson? Manav hailed from a good family, a reasonably rich one. He had no dearth of food or facilities ever in his childhood or youth. He was now 23 years of age. He never had to beg for food. While wandering, whenever he felt a need for money, he did odd jobs and earned some money. He was good in finance. He worked and earned his daily bread, whenever needed. The rest of the time, he traveled to holy places or to the Himalayas. He thought and thought. He could not bring himself to beg from anyone. And he also felt that he would not look like a beggar at all and that people may humiliate him. Other beggars may look at him as competition too and may ridicule him too. This would mean great embarrassment for Manav. He didn’t want anything to do with it. He could not make up his mind until morning. At 3 am, Atmananda woke up and saw Manav sitting under a street lamp. He walked towards Manav and said ” You did not sleep? Good. When you look tired and unshaven, you could fetch more money”. And he started laughing aloud. It sounded like a cruel joke. Manav became angry and upset. By then, he was resonably convinced that Atmananda’s intention was to make some money using him. Atmananda is no saint!. He is a businessman who knows his trade! Manav felt that he should leave Atmananda and leave immediately. Ignoring Manav’s emotions, Atmananda handed over a broken bowl into his hand and commanded “OK, Leave Now.” “Come back after a week”, and without waiting for any response or reaction from Manav, Atmananda walked towards the river to take a bath. Manav stood there, undecided and utterly confused. Finally, before day break, he made up his mind. He decided to go begging! As the day broke, people started rushing up and down every street of the city. Manav started his journey in the street with his begging bowl. He had left his backpack with one of the disciples of Atmananda, who accepted it in a matter-of-fact way and expressed no compassion whatsoever at Manav’s predicament. Manav thought that even this man was as insensitive as Atmananda! 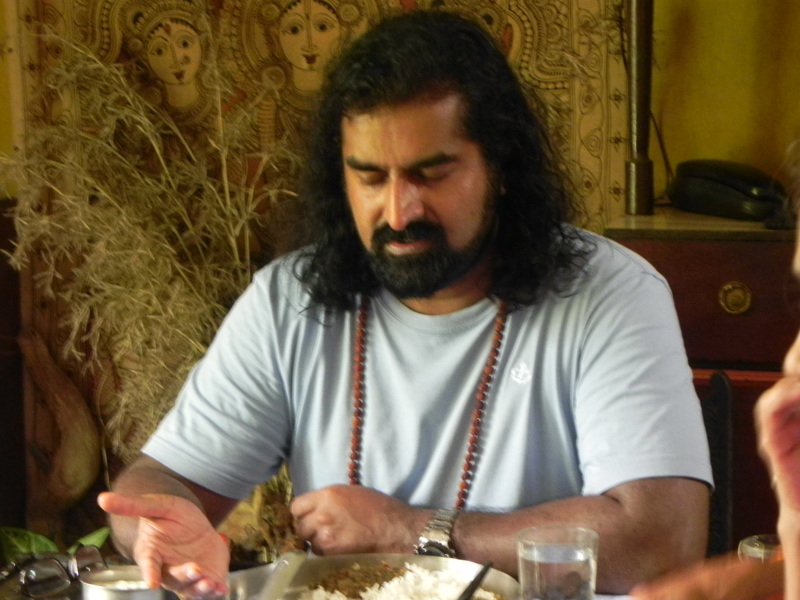 Partially out of anger and resentment against Atmananda and partially out of determination and ego, Manav took nothing with him except the broken bowl that Atmananda gave him. When he extended his bowl towards the pedestrians, some people gave him some coins. Some shooed him away. 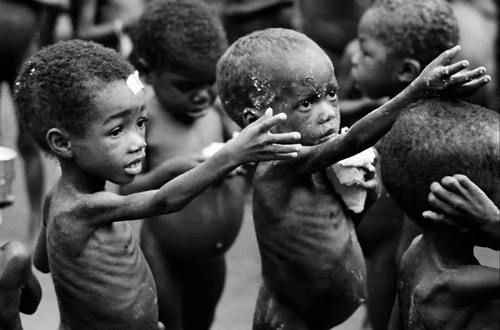 One man ridiculed him “Look at you, a healthy boy and begging! ; why can’t you do some job and earn a living? You lazy bum, it is easier to beg than work eh?” Even though he begged till noon time, he could not gather sufficient money for his breakfast or lunch. Nobody seemed to be bothered, let alone compassionate! He felt a deep urge to throw the bowl away and do something more meaningful and dignified; to fetch some money and buy at least a basic meal. Atmananda will not know. He could return back after 8 days, with some money that he earned through work too. After all, it is only the money that Atmananda is after!!! But, something stopped him. It could possibly be a revenge attitude towards Atmananda or a strange satisfaction at this self-inflicted pain. There had to be some unknown reason for Atmananda to instruct him to beg. He did not know the reason. But, slowly, as the day grew, his hunger also grew and strangely, so did his determination. All day, he had survived only by drinking water from the street water taps. By evening, he got sufficient money to afford some bread. He ate that bread and drank more water. At night fall, he slept under a banyan tree in front of a temple. It was cold and windy. He had carried no blankets or any other protection against the cold. The wind was blowing and he could not sleep. He shivered. His teeth chattered. He also started developing many fears. Every sound made him shiver more. He had led himself to believe that he always braved darkness and death. Both these fears surfaced now. And he had to face his own fears, quite alone. He felt that he could be attacked by some unknown creature, a ghost perhaps, and even be killed, if he happened to close his eyes. The darkness and shadows of everything around seemed alive, potent and heavily threatening! He realized that deep within, all the seeds of all possible fears had been existing and lying dormant, waiting to germinate in the right environment. He spent the second sleepless night in fear and confusion. Atmananda had warned him not to go back to him before the completion of 8 days. Somehow, Manav decided to fight it out. He was more worried about Atmananda ridiculing him and making fun of him in front of the others. His ego did not permit him to stop begging or go back to Atmananda. Strange are the ways of ego indeed, even at the toughest of times! At day break, he walked towards the nearby river, he brushed his teeth using some tender leaves of a mango tree crushed into a paste, which he made himself, using a stone. He used his finger to apply it on his teeth. 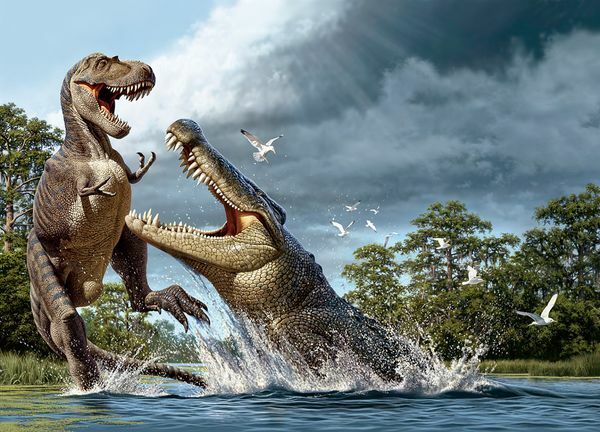 Then he removed all his clothes except his loin cloth and kept it on the bank of the river. Many others were also taking a bath in the river. He did not want to drench his clothes as yet, as he had no spare clothes with him. Even though the water was ice cold, the bathing rejuvenated him tremendously. He took many dips in the river and felt more and more refreshed and cheerful. After a while, when he got back to the shore, he was shocked to find that all his clothes had disappeared! Everything had been stolen. There was nothing left there, except his broken begging bowl!. It was such a big embarrassment for Manav. How could he go anywhere like this? He only had his loin cloth to cover himself. What could he do now?. “Oh God, why am I being tested like this?” Hunger was creeping in. He walked in his drenched underwear and with his broken bowl towards the main streets of the city. People looked at him through various eyes; such as contempt, pity or compassion. Many thought that he was mad. Some gave him some money, even without asking. Quite surprisingly, in his new costume and without much effort, he was able to collect sufficient money to buy himself a decent breakfast. When he approached any restaurant, they would not allow him to enter. He asked for some bread and curry and paid them the exact change they demanded. Every penny was precious for him. He started taking money seriously and started feeling the value of every bit of it. He even started respecting it. He even thought that he realized the reason why people considered and worshipped money as Goddess Lakshmi! The waiter of the restaurant delivered the bread and curry into his broken bowl, as they did not want to give any of their utensils to a “mad beggar”!. This was further humiliation for him. Quietly swallowing his pride and humiliation, he sat under a nearby banyan tree and started to eat. As he was about to put the first morsel in his mouth, he saw a small girl sleeping next to her mother under the banyan tree looking at him from under a blanket, which was covering both her and her mother. She smiled at him. A cute little smile. She looked as if she was hungry. Her mother was still sleeping. He smiled back and extended his hand to offer her the bread which he was about to eat. She got out of the blanket and crawled towards him, smiled again and opened her mouth expecting him to feed her. Not being very familiar with children, he showed her the bowl of curry, expecting her to join in his meal. She smiled again, innocently. Manav knew that she was too young to be technically qualified to eat her own meal. He took charge of the situation, dipped a piece of bread in the curry and put it in her mouth. She had very limited teeth, yet, she chewed well and swallowed it. Thus, he fed her most of the bread and curry. She ate quite a lot! She was really hungry, but Manav observed that she did not cry or wake up her sleeping mother, even though she was starving!. She was probably used to the hunger!!! What a lesson to learn about hunger management, that too from a small toddler!!! She smiled at him, as if in gratitude, and went back to her mother who was still sleeping. Manav found himself left with only a very little remnant of his own meal!. But, somehow, he felt deeply satisfied with this whole event. He looked again at the small girl. She was already cuddling under the blanket of her mother and was probably going back to her sleep. Manav was lost in thought for a few minutes. 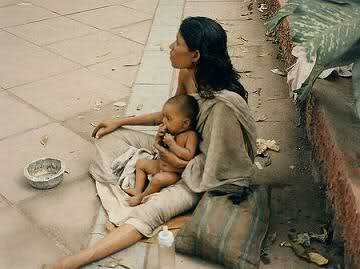 This lady could be a single mother, living in the street. Maybe she was a prostitute. The child might never know her father. For a brief moment in time, Manav felt that he fulfilled the role of a father to a hungry child! A deep satisfaction welled in his heart. He felt ecstatic with joy, despite his seeming tragic situation. He started understanding his mission. Manav got up and walked towards another busy street. In the new street, he encountered many beggars who shouted at him and threatened to beat him if he entered their territory. He experienced the competitive behavior of the commercial world there. He silently walked away to another street. This time, he did not feel any ego or humiliation. He again started feeling his hunger. He saw a small restaurant at the corner. Even though he did not have sufficient money, Manav approached the restaurant, expecting some compassion, and asked for a banana, which was displayed outside. He thought “any food will do, even if it is remnants from a used plate”. His pride was steadily evaporating. The restaurant keeper shouted at him, showed him a stick and threatened to beat him, if he did not go away. They did not want anything to do with a naked mad man in their premises. He slowly moved to another restaurant nearby. They also did not give him anything. When he approached a table where some of their customers were having their food, the restaurant owner threw hot water at him and drove him away. Thus, hungry and drenched and also a bit burnt, he sat under a tree, with his begging bowl kept in front of him. Suddenly sadness, isolation and hunger overpowered him. He cried. He cried bitterly. Many passers by, who saw him crying, put coins in his bowl. Slowly, his sadness subsided, and he also found sufficient money for a couple of meals. He had a good lunch. Again, the restaurant owner did not allow him to enter his restaurant. He packed the food and gave it to him outside. This time, he had over-eaten a bit. He did not eat anything in the night. Again, fears gripped him. Still he could sleep for a few hours. There was nothing to protect. He had nothing on him except his loin cloth and his begging bowl. He did not even have a blanket to cover himself. He hid behind a wall in front of a shop and sheltered himself from the cold, howling wind and spent the night there. Thus, he spent his 8 eventful days. He begged, managed to save some money after his expenses, and returned to Atmananda after 8 days. When he reached the place where he had left Atmananda, he could not find him or any of his disciples. They had already left the place. Nobody knew where he was and because of Manav’s condition, nobody would even talk to him, let alone guide him. He was naked, shabby and quite unpresentable, in social terms. Using his intuition, he walked towards the north. Two days later, on the 10th day, he found Atmananda. He approached him and gave him the coins he had saved from his begging trip. As he had expected, Atmananda did not display any compassion, kindness or even a smile or signs of recognition. Atmananda took the money and without saying or asking anything, immediately distributed it amongst the people who were around him!. Manav felt like crying. Every penny of that was quite precious to him, because it represented the great pain and humiliation he had endured. Atmananda did not even say a word of consolation or even respect his hard earned money! Manav even thought of committing suicide. He was reaching his nerves’ ends. Atmananda looked at Manav and said “Take a bath, you stink”. This was the limit! 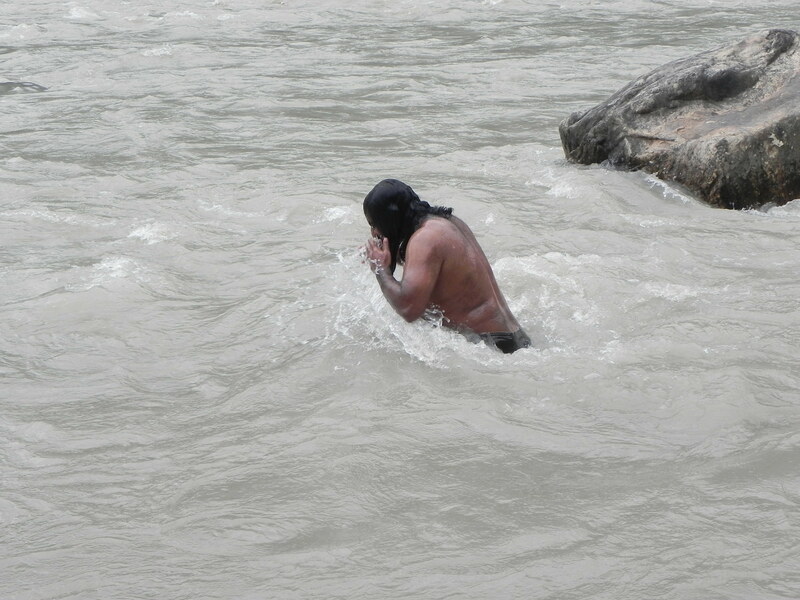 A frustrated Manav immediately left Atmananda, collected his baggage from the keeper and went to the river to take bath. On the shore, he sat and wept uncontrollably. He felt useless and like a complete waste. He felt stupid and lost. After shedding all his tears and after a good bath, he felt slightly better. After getting into some clean clothes, Manav started feeling even better. 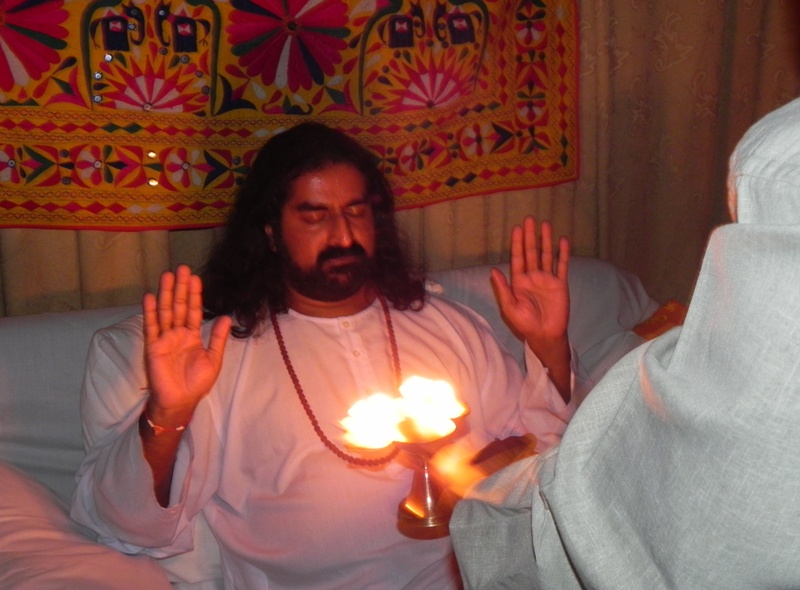 He had made up his mind to leave Atmananda and pursue spirituality on his own. He could not accept nor did he like the style in which Atmananda operated. He considered it as quite insensitive, sadistic and cruel. 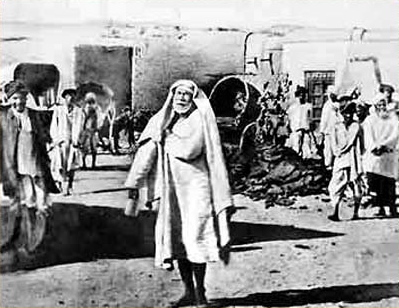 When he came back to tell Atmananda about his decision, the saint said. “So, you are now ready to be with me. Good. You have come to terms with all your fears. You have conquered your fears of being alone, being naked, having to beg, and having to ask strangers. You have already conquered your ego to a great extent. Now, you are fit to be in my path. The path of pathlessness. The path of simplicity. The path of purity and lack of expectation. You are welcome to travel with me.” Saying this Atmananda started walking. In the lap of a Grand Tradition…Life Eternally Flows…. Manav found that he no longer had any anger in him. No feeling of humiliation. In the 10 days of living the life of a beggar, he had faced many harsh realities, which had smoothed all the sharp edges of his character. He had many experiences which helped him to see life from different angles. It helped him in his detachment towards life. He started respecting everything, every being. He started seeing value in everything. He started respecting food, clothes. He started seeing the difference in awareness of people. He started feeling the value of kindness and compassion. He started feeling and understanding the relevance of LOVE in the existence. So many changes in 10 days. He understood why so many people were following Atmananda. He understood the way in which he was imparting knowledge. Practical training and complete annihilation of ego. Thus Manav found his path of liberation. He knew that he would never be the same again.